Eric Chan a.k.a. eepmon, is an artist and craftsman of the digital age. Working at the intersection of fine arts, design and computer programming, his drawings, photography and computer code allow him to develop a conceptual and visceral expression. Recently, he teamed up with Canada Goose on an exclusive parka dubbed “The Synthesis Parka.” Here, he walks us through his sartorial endeavor. 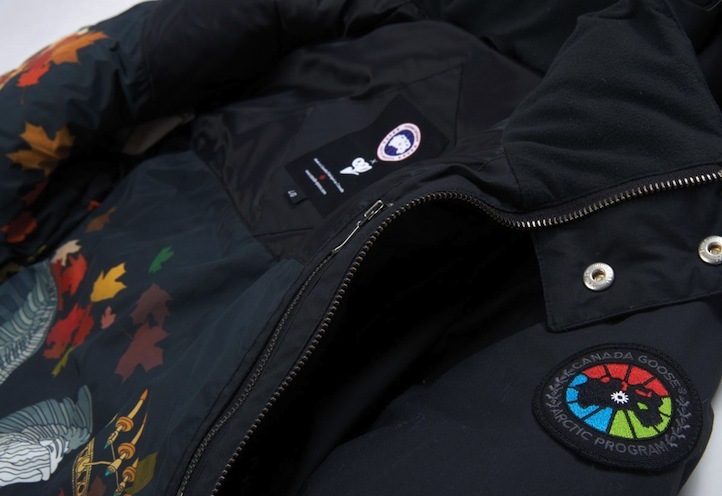 Life+Times: The concept behind The Canada Goose x eepmon collaboration is to create something that defines “wearable art.” How did this collaboration come to fruition? Eric Chan: I met Dani Reiss (CEO of Canada Goose) back in early 2010 and proposed to him the idea of collaborating on a unique parka. Although we come from very different industries, we both share a common philosophy and that is about being authentic in what we do. This was the start of a really great relationship. I shared some designs and he provided feedback and about a year later, we made the collaboration official over lunch in New York. Then that’s when everything started to roll. L+T: This collaboration merges the worlds of “handmade artistry” and “digital design,” two differing realms. How did you tackle this dichotomy? EC: I believe it comes down to attitude. My work is known for using computer programming and hand drawn illustrations to achieve hyper-detailed compositions to create art. Canada Goose is known for being the best performance outerwear in the world. With that in mind, we had so much to leverage from both sides, so my mission was to find that fine line within this dichotomy: “How do we combine our qualities without being overwhelming?” Intuitively I knew what Canada Goose was all about and had already projected a mental preconception of what the parka would be. They are honest and serious with their craft and I’m the same way. 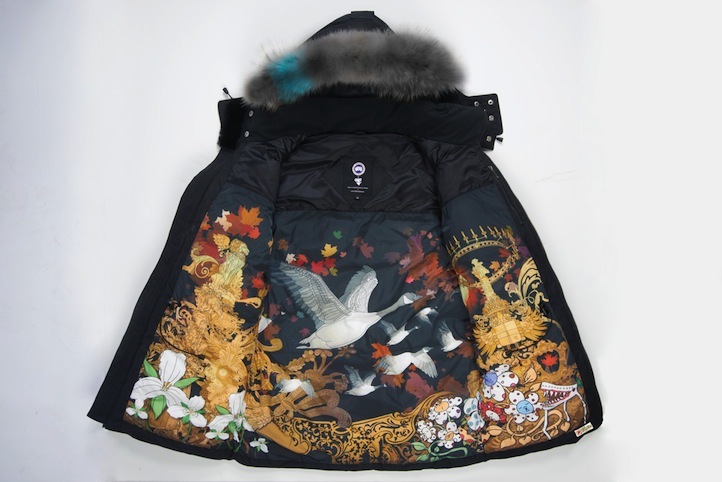 We both knew that my designs had to reflect the core values of both Canada Goose and eepmon. Our trust in each other was mutual and I can confidently say that we successfully achieved a beautiful work of wearable art that accurately represents both of us. EC: We felt that the word “synthesis” conveyed something technical due to its digital nature and a name that is unlike any of Canada Goose’s in-line parkas. Also the word synthesis is a term defined as a combination or composition between two or more things. Our collaboration was truly multifaceted and multidisciplinary. L+T: When you were approached with this idea, what were your original thoughts? L+T: Tell me a little bit about the construction of The Synthesis Parka, as it’s highly technical. EC: Where to begin? There are so many components that make up this mix media work. The exterior is a lightweight waxed cotton shell making it lighter and very comfortable to wear, as well as durable. The beaver fur chin guard is a welcome addition to the parka. I really sought to have this because I myself get the uncomfortable cold feeling whenever a zipper touches my face. 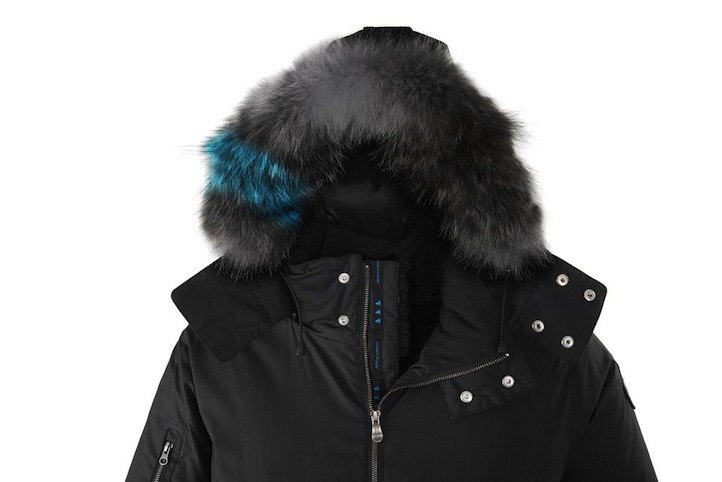 The Synthesis Parka comes with a unique dark grey coyote fur trim with a special blue topaz accent to hint at the parka’s uniqueness. The reason why we chose blue is because it is the eepmon signature brand color. We were also careful how we co-branded the parka. We didn’t want this to be an in-your-face product, so we kept it subtle, which I think makes it work. The Arctic Disc is another unique feature. It represents the intersection where analog meets digital. You’ll notice that there are three colors: red, green and blue, which are the primary colors, and based on their different levels of frequency, allow us to perceive the color gamut on computer display devices. What’s also interesting to me is that the map on the disc is in fact the inversion of the Arctic map. With the stylized Arctic Disc, it also symbolizes the RGB touching the entire world and to me, represents the dawning of the Digital Age. Not only is it fashionable, it is – like all Canada Goose jackets – highly functional. It includes a two-way adjustable down hood with a wind guard for extra warmth, the dual way YKK zipper, zipper on the arm and breast pockets, and rib-knit cuffs to keep the cold wind out. I can go more into detail but you just have to try it on and discover it yourself! The inside lining artwork is another unique project in itself. 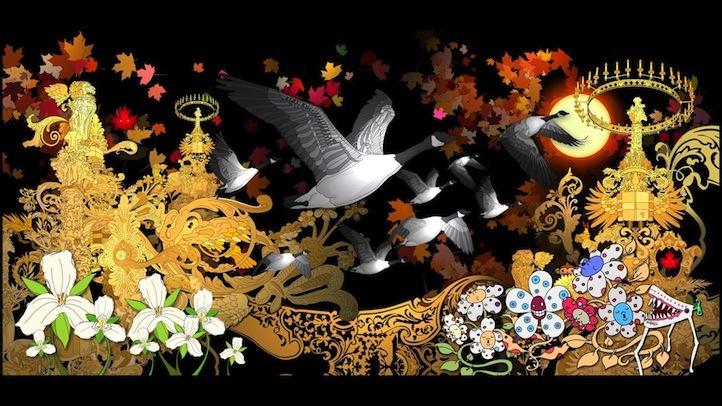 The artwork combines random algorithms from a program I developed, which aids in the overall composition of my individual hand-drawn illustrations and photography to create larger compositional groupings. This is iterated many times which I can then manually recombine to create an even larger composition. It’s like creating an eepmon universe. Working closely with Laura Fine who is a Product Developer for Special Collections at Canada Goose, we took my designs and made it a reality. Laura did an amazing job with the proofing and sampling of every piece of the parka. I have to really give her and her team kudos. Her keen eye, dedication and execution right down to the details made this Synthesis Parka what it is. Nothing was compromised. L+T: What are you currently working on these days? What’s occupying your time? EC: I find myself intersecting more with the fashion industry which is exciting for me. Currently I am planning the next stages to collaborate with like-minded premium brands where my creativity can be maximized. Strategically, Asia is an interesting market so I’ve been keeping a close eye on that region (especially China). Meanwhile I’ve been getting into more hardware electronics and software that make things like interactive installations and digital art murals, which is a lot of fun. This is an area where I can truly put my multidisciplinary skill set to use. As always, I continue to work on my personal pieces and travel as much as I can. L+T: While your real name is Eric, you go by the moniker eepmon. What’s the meaning behind it? EC: eepmon is a weird way of saying APEMAN. Ape/Monkey is kind of like my animal spirit (I was born in the year of the monkey) and it so happens they are curious, mischievous and adventurous creatures. Rules don’t apply to the monkey and I am reminded by that through eepmon. To me, it’s a way of living.